There are many reasons why we might need to use a VPN service whether we are trying to keep your data and traffic hidden from the eyes of your internet service provider or agencies within your government these are just a couple of the reasons why we might need to use a VPN. 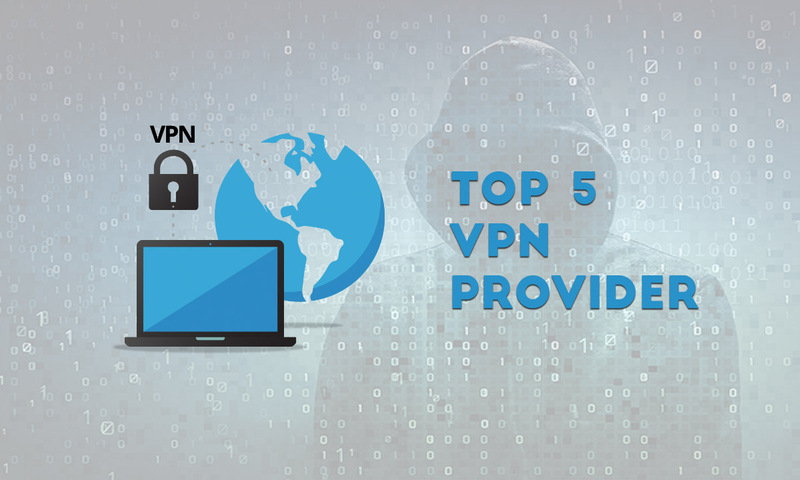 In this article, we rated top 5 best VPN services based on several factors. Some of these factors include logging of your data, DNS leak protection, the number of server locations, ease of use and price. Private Internet Access VPN has over 3,000 servers in 37 locations in 25 countries. It has a ton of options which include encryption levels, DNS leak protection, and a kill switch. These features enable you to configure PIA to suit your needs. The user interface is incredibly easy to navigate. If you are someone that’s into torrenting, it is only allowed on certain servers so PIA would not be the best choice for you on this list. Private Internet access is a solid VPN especially if pricing is an issue with plans starting at 3.33$ a month if you pay annually on up to 6.95$ if you pay monthly. It is available on several platforms including Windows, Mac, Linux, iOS, and Android. ExpressVPN have over a thousand servers than 145 locations across 94 countries which are more than triple the countries offered by Private Internet Access(PIA). They are one of the fastest VPN services out there which comes in handy when watching HD TV shows or movies. ExpressVPN also packs in a lot of features including zero logging and 24-hour customer service. Pricing is as low as 8.30$ monthly if you pay annually plus they are offering an additional three months of service for free. It is available on Windows, Linux, Mac, iOS, and Android with setup tutorials for each platform. Also, read Methods used By Hackers to Hack Facebook Accounts. VyprVPN put some high emphasis on security they have a technology called chameleon which further reduces the chance of data being recognized which is useful in countries where they monitor their citizens online usage behavior. VyprVPN has more than 700 servers in at least 70 locations around the world. They also own and manage their servers with no third party interference with no restrictions. VyprVPN premium is the better of the two options as it includes chameleon pricing at 6.67$ per month if billed annually otherwise it is 12.95$ it’s billed monthly. VyprVPN is available on a ton of platforms including Windows, Mac, Linux, Android, and iOS. It is even available if you have a QNAP. NordVPN tells itself as the world’s most advanced VPN. Setup for Nord is super easy when compared to other VPN services. It has double data encryption which as implied encrypts your data twice. The automatic kill switch and the strict no logs policy are nice features. Nord also has 821 servers in 57 countries worldwide. Nord VPN pricing is excellent 5.75$ per month it is billed annually. It is available on so many platforms. All of the platforms available along with the instructions are available on their downloads page. IPVanish has over 40,000 shared IPS 750 plus servers in more in 60 countries. It has a no logging policy with five simultaneous connections and unlimited server switching. It has great speeds for torrenting with unlimited person-to-person traffic. They also have 24/7 customer support and a seven-day money-back guarantee if you are not satisfied. The pricing is 6.49$ a month billed annually or $10 a month if billed monthly. It is available on Windows, Mac, iOS, and Android, Linux support is limited. Can you please tell me how actually vpn works? Dozens of articles I have watched but I didn’t understand anything_but you are the expert please tell me about that..